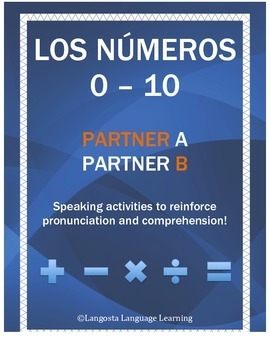 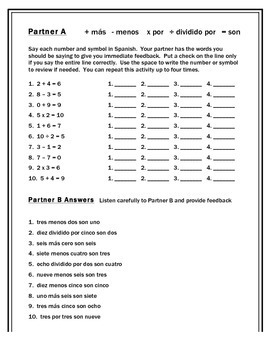 Spanish Numbers 0 - 10 Partner A Partner B reinforces pronunciation for the student and gives the teacher an assessment tool to check comprehension. 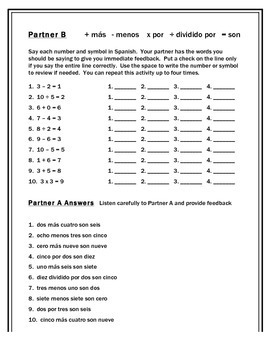 This repetitive activity creates a fun learning environment while providing immediate feedback. 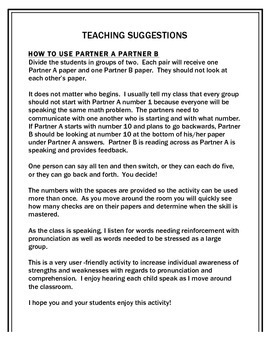 This is one of a series of Partner A Partner B activities created by Langosta Language Learning!